End of October I went for a view days to Croatia and Slovenia to visit the Plitvice Lakes and the Soča Valley. 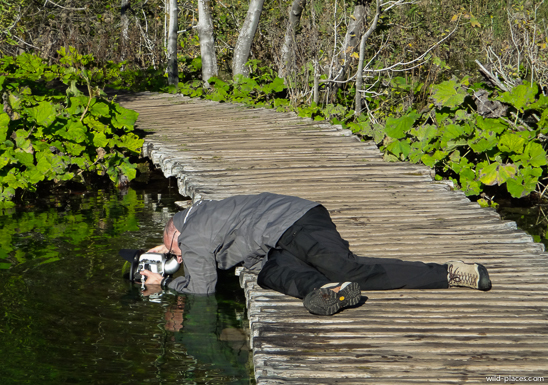 This was my third trip to the Plitvice Lakes. On the last two trips I shot mainly classical landscape images of the lovely lakes and waterfalls. 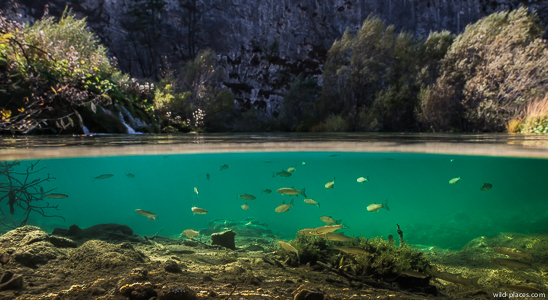 This time I wanted to do some underwater photography and especially some half-half shots of the Plitivce lakes. Since swimming or diving is not allowed in the lakes I had to do all my shooting from the boardwalks. The biggest challenge was not to get too top-heavy and fall into the lake while leaning forward for the underwater shots. But I think the effort has payed off since I got some nice split-images, which are not commonly found. 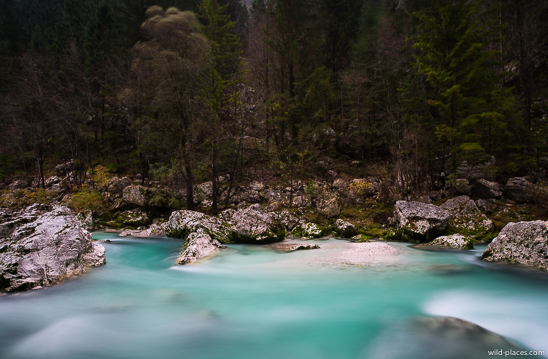 After four days at the Plitvice lakes we went to the Soča Valley in Slovenia. 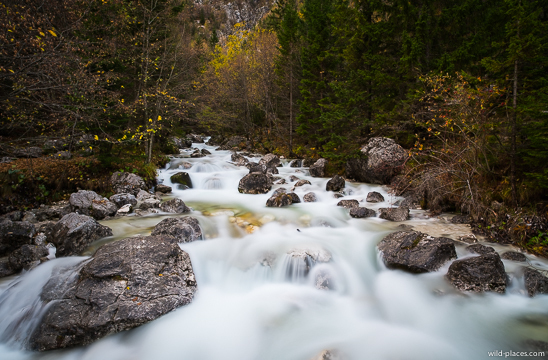 I have visited the Soča many times in the past but mainly for kayaking, canyoning, mountain biking and hiking. This trip was my second attempt to get some landscape images from this place. The Soča is in my opinion the most beautiful river in Europe. The water has a very intense turquoise color and the river is surrounded by spectacular mountains. In summer it can be quite crowded there because it’s one of the best places in Europe for white-water kayaking and many other outdoor activities . In autumn nearly all the tourists are gone and you can enjoy this lovely place all on your own. In the past we stayed at one of the campgrounds in Bovec. This time we had booked a room for three nights at the hotel Dobra Vila Bovec, which was really great. The service was excellent as was the breakfast. The rooms were clean with some classy and stylish furniture and decoration.